Honey has been extensively used for beauty as it provides many benefits to the skin. 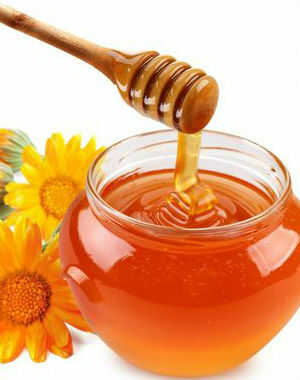 Several honey masks can be used to treat skin problems and promote healthy skin. Here are beauty benefits of honey on skin and honey masks. Honey is a natural humectant which means it has an ability to draw in and maintain moisture. This quality makes it good for those people who have dry skin. Honey contains mild alpha hydroxy acids which loosen bonds between the dead skin cells, making it easier to get rid of these cells. Your skin will become glowing. As honey also has the ability to moisturize the skin, it helps sooth the skin after exfoliation. This makes honey an excellent exfoliator for sensitive skin. Honey has natural antioxidant properties. Antioxidants fight against free radicals which are caused by UV rays, smoking, stress, and environmental pollutants. These free radicals speed up the aging process and damage your skin cells. Acne is mainly caused by clogged pores and acne bacteria. Honey has the ability to loosen dead skin cells that clog pores. It is also a powerful antibacterial agent which takes away the acne bacteria. It is also an anti inflammatory which helps to reduce the redness associated with acne. These abilities make honey an excellent treatment for acne. Honey contains healing properties. It heals wounds and keeps the wounds sterile. Honey’s ability to moisturize also helps stimulate the growth of new skin. Honey is one of powerful homemade masks for dry skin. Apply pure honey to your face and leave to dry for 15 minutes. Then rinse your face with warm water. If your skin is very dry, you can add avocado into a honey mask. Mash half an avocado with a fork until creamy. Add one tablespoon of honey to the avocado mash. Apply the mask thoroughly on face and leave for 15 – 20 minutes. Then rinse off with warm water. Aspirin and honey mask is an excellent treatment for acne. Crush two aspirin tablets into a fine powder. Add a teaspoon of water and a teaspoon of honey. Apply the mask to your face and leave it for 15 minutes. Rinse off thoroughly. You can also dab honey directly on the blemish daily to help with inflammation and redness. Apply a thin layer of honey over the gauze. Then lay the piece of gauze with honey side on your wound. Put a second layer of gauze over the first to absorb any excess moisture. Tape the gauze in place. Repeat the process every 12 hours. For acne scars, you can add a few drops of lemon juice to honey. Then dab the mixture on the scars. Leave it for 15 minutes and rinse off with warm water. Lemon has a natural bleaching agent which helps fade dark spots and acne scars. Honey mask is one of excellent home remedies for glowing skin. Apply 2 tablespoons of honey to your face. Leave it for 15 minutes. Then rinse thoroughly with warm water. Your skin will become soft and glowing.